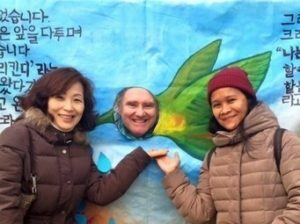 Luda Luminhay Egbalic is a Columban lay missionary currently living and working in South Korea. I remember how I silently uttered a prayer to bless me in my desire to become a missionary when Pope John Paul II visited the Philippines in 1985. Years later, as I watched a movie about Mother Teresa’s life, I started to feel remiss about something. I had always felt that by virtue of our baptism we are all missionaries wherever we may be. Being a teacher was my mission, and I loved it for the ten years that I was a teacher. However, in 2010 I dared to risk and started journeying into the unknown entrusting myself to God who faithfully loves me. For the past nine months I have been on mission at Nengguk Church in Uijeungbu diocese in Korea. During this time I have received a lot of support from parishioners, Sisters and priests in the parish. I would like to share a few of the missionary experiences I’ve had. One afternoon two Korean kids from my English reading group greeted me on the street. On hearing that I was living alone, one of them exclaimed, “How lonely!” The retort made me smile. For me loneliness adds another colour and dimension to my life. 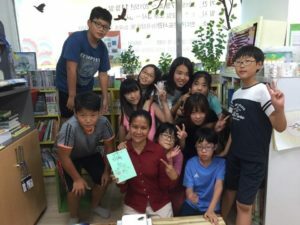 Although learning the Korean language is truly important, it is the language of the heart that has made me more confident and compassionate in my ministry. Even if I spoke Korean fluently, without love I would not be doing mission. 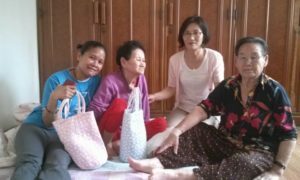 I spent Christmas Eve 2015 with a grandmother, aged 73, who had been suffering from pulmonary fibrosis, causing her many health problems. I went to the hospital to collect medication for her and when I returned she thanked me, saying, “Luda, the Lord has graced you so much.” I acknowledged this and knew that I had just received God’s blessing through her. Later when I got home – alone – I was not lonely. Words uttered with such simplicity and humility truly touched my heart. I replied gratefully telling her, “I see Jesus in you as well.” I have received special gifts from God through people who are in pain but carry with them a strong faith and courage. “Have I chosen love?” Ironically, I ask myself this question. I believe God has created me because of love. Thus, everything that I am and do is about love. To choose love is the most complicated but also wisest decision of all. 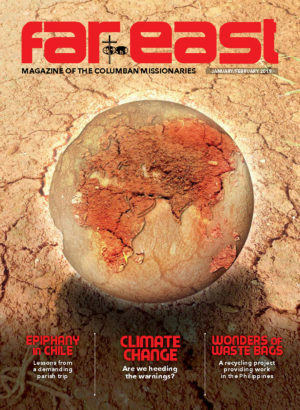 When I chose to live the Columban lay missionary life, I knew I had to leave my comfort zone. Being assigned in a beautiful country like South Korea is both exciting and interesting but at times it is not easy. This has forced me to broaden my vision and contemplate my vocation, it has also taught me to fully entrust my family to the care of our loving God. When in my early forties, I fell in love, the words that summed this experience up were: ‘We have the right love at the wrong time…’ Learning to let go of this special person has been painful. I have learned that it is never too late to fall in love but for me it was too late to commit to it. I had chosen my first love – mission. My life as a Columban lay missionary is filled with varied experiences: learning a complicated language, offering a short prayer during visitation; touching the hands of a forlorn grandmother; reading English stories to children; exchanging smiles and chitchat with young people. Along with many more experiences, I have learned that all these things are without worth if there is no love. If it were not for love I would not be here in Korea. We have simply and spontaneously shared our lives with one another. This has been yet another chapter in my meaningful life. When I say meaningful, I refer to something beyond happiness, loneliness and the fulfilment of one’s heart’s desire. It has created a more beautiful person within me. For this I am forever grateful. 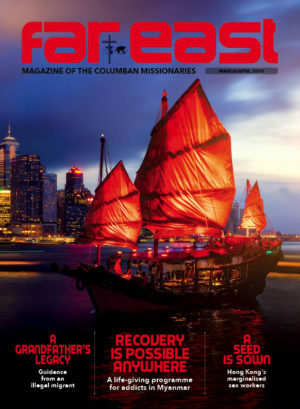 To my mission parish and Columban family, our loving God continues to grace you with your needs. Life offers a lot of lessons, surprises, complexities and hardships. All of these are opportunities for growth. I believe one healthily grows when in each moment of life we choose to love.